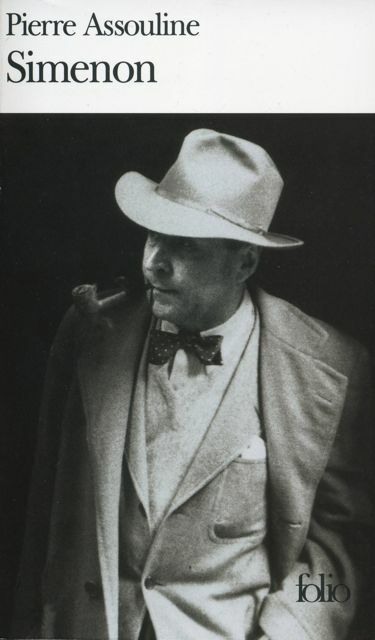 I have just read, with much pleasure, Simenon, Pierre Assouline’s remarkable 1992 biography of the creator of Inspector Maigret (Paris: Gallimard, 1996; at nearly 1,000 pages, the French edition is almost twice as long as either the US or UK editions, which total less than 500 and 400 pages, respectively). Of the many interesting things to be found in this volume, one was particularly so: indeed, I learned that Simenon published, in 1931, a 128-page “phototext” in collaboration with the German-born Germaine Krull, who contributed 104 black-and-white photographs. La Folle d’Itteville – “The Madwoman from Itteville” – was meant to be the first in a series of illustrated detective novels published by Jacques Haumont, whose idea it was to launch the collection and with whom Simenon signed a four-book contract. The book failed to sell, however, and this was a first disappointment for Simenon. The second disappointment was the fact that Haumont had hired other writers to contribute other texts to his “phototext” collection, although Simenon had thought he was going to be the only author of the series. Haumont and Simenon fell out, and the “phototext” series was virtually stillborn. Although the book has long been out of print – indeed, it doesn’t seem to have been reprinted since 1931 – second-hand copies are still available, though at a price, of course. These booksellers, for instance, have a copy for sale at close to €1,500. Whether interested in buying a copy or not, their website is worth visiting, however, since there are a few photographs of the book: the front cover, showing a woman lying, apparently, on the floor, with her head thrown back; two of Krull’s photographs, showing the cover woman being pushed, perhaps, to the ground by a man; and the back cover, which already featured an ad for the next volume in the series, also by Simenon and Krull, L’Affaire des 7′ – although that volume, of course, would never see the light of day. Pierre Assouline's Simenon (Paris: Gallimard, 1996). This entry was posted in Georges Simenon, Germaine Krull, Photography, Picture novels and tagged detective fiction, Germaine Krull, La folle d'Itteville, photography, phototext, Simenon. Bookmark the permalink.